Ahead of the Tuesday, June 7 primaries in California, New Jersey, and several other states, the Associated Press reported that Hillary Clinton is the presumptive presidential nominee for the Democratic Party. 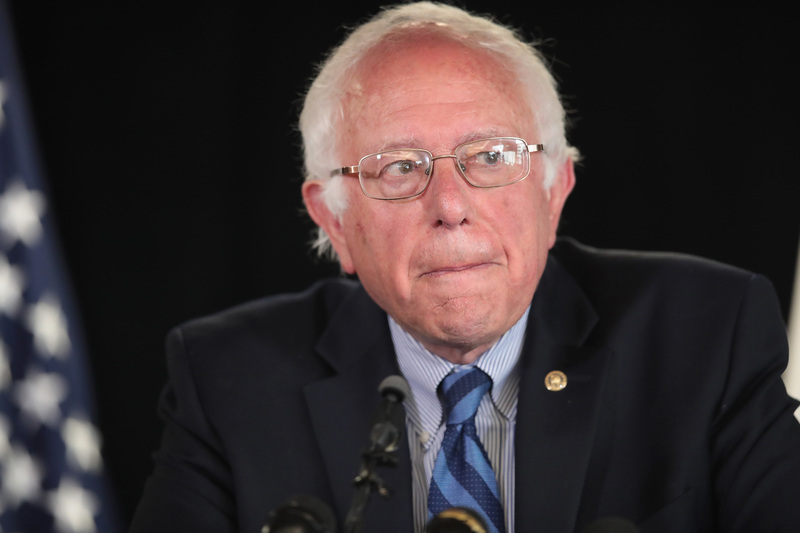 That said, there is still a slight chance that Bernie Sanders could end up as the Democratic nominee and the reason has to do with super delegates changing their pledged support at the Democratic National Convention in July. Naturally, the news that Clinton is reportedly the nominee, according to the AP, will leave some Sanders supporters with many questions, including: Can both Sanders and Clinton win enough nominees to secure a potential nomination leaving things to be decided at the convention. Put simply, the answer is no. According to the AP, Clinton has secured the number of delegates (2,383; super delegates included) that she needs to become the presumptive nominee. With this many delegates pledged to Clinton, Sanders cannot get enough delegates to win the nomination. There simply aren't enough to go around. However, there is still a very small chance that Sanders could end up as the nominee if, at the convention, he is able to convince enough super delegates to change their pledge from Clinton to himself. Sanders has made it clear that he is willing to take his campaign to the convention, so his fight is not over yet.